Hi! 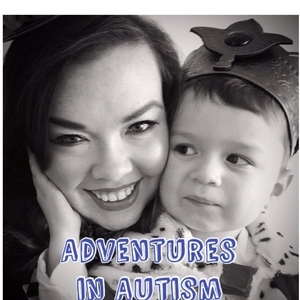 I’m Megan and this is my podcast Adventures in Autism :) this podcast is all about support and sharing our journeys with autism. Enjoy! In today’s episode I’m chatting with special education teacher, Stephanie DeLussey, AKA Mrs. D from Mrs. D’s corner! Stephanie is a wealth of knowledge on all things regarding special education, from lesson planning to IEP meetings- she is truly an expert in her field. Stephanie and I chat all about how teaching was her calling from a young age, and how she got into special education specifically. Stephanie shares so many amazing tips and helpful pieces of information, for parents and teachers! We also discuss her personal journey with anxiety, something she has been very honest and open about, which is really refreshing. Stephanie explains how her anxiety was affecting her as a teacher and how it lead to make tough but important decisions regarding her career. I loved chatting with Stephanie and I was SO appreciative to her perspective as a special needs teacher. Enjoy listening! In today’s episode I’m chatting with autism mom and author, Kathryn Jenkins. Kathryn shares her journey with her son Logen, and how he inspired her to write her book, The Inclusion Alphabet. The book is a beautiful story of what it means to be inclusive, with a different word representing each letter of the alphabet. Kathryn also talks about her sons sibling relationship and how incredible those bonds are. We also touched on common issues associated with ASD that both our sons deal with, like disordered sleep and the need for oral sensory input! Kathryn is a true delight and I loved chatting with her- I hope you enjoy listening! In today’s episode I’m chatting with Anesa, who is a BCBA and creator of “8 the plate”. Anesa and I get in depth about all things ABA therapy! We discuss why it is so effective and also shed some light on the misconceptions surrounding ABA. She shares what led her to work in this field and how it truly became her passion. Through that passion, she saw there was a real need for help when it came to over coming food struggles for many individuals on the spectrum. Anesa took that need and created 8 the plate- which uses ABA principles as a means of encouraging more variety into mealtime. Anesa was an absolute delight and I loved hearing her expert take on ABA therapy- something I feel very strongly about! Enjoy listening! BONUS EPISODE- World Autism Awareness Day 2019. It all starts with awareness! I wanted to put together this special bonus episode as way to honor World Autism Awareness Day 2019. Today I’m talking about what autism awareness means to me personally and why it is SO important. I also discuss my favorite ways to advocate for autism (hint: this podcast!) and what I wish people knew about autism. I posed these same topics in my Instagram stories last week and I’m sharing all the awesome feedback I got as well. Autism awareness is the first stop on road to acceptance and inclusion! Thank you so much for all your support and I hope you enjoy this bonus episode! On today’s episode I’m chatting with speech and language pathologist and autism mom, Deidra Darst. Deidra shares her journey with her son Colin, and talks about how his diagnosis lead her to not only start a blog, but also write two books! We also discuss her work as an SLP and how that affected her when it came to her own son. As if she’s not busy enough, Deidra also does amazing advocacy work in her home state of West Virginia as director of The Mountaineer Autism Project. Deidra is an absolute delight and I loved talking with her! Enjoy listening! On today’s episode I’m chatting with Eileen “Mama Fry” Shaklee, of the blog ‘Autism with a side of fries’. Eileen was really at the forefront of blogging- especially when it comes to autism! I personally have followed her for years and it was such a treat to chat with her! We talk all about her journey with her son, who she lovingly refers to as “Kiddo”. Eileen shares how their story started and how things have changed for them over the years now that Kiddo is 14. Eileen is not only a wealth of knowledge but she is also a hoot! I loved talking with her and I am so honored to welcome her as a guest. Enjoy listening! On today’s episode I’m chatting with fellow autism mama Brittney, who you might know as The Unapologetic Autistic. Brittney is not only a mother to two little ones with ASD but she herself is also on the spectrum. I connected with Brittney through her Instagram account and I was immediately drawn to her honesty and sense of humor. She brings both to today’s episode as she shares her journey and very unique perspective! I’m so thrilled to welcome her as a guest and I hope you enjoy listening! Today’s episode includes a lot of firsts! My guest Kristin was the first listener to ever reach out to me after I started the podcast. She’s also my first guest with a daughter on the spectrum and she details her journey with her little girl, Mikayla. Kristin also lives in Sydney, Australia making her my first international guest! Kristin and I chat all about her daughter and how it initially took her some time to come to terms with Mikayla’s delays and other “red flags”, and later her diagnosis of ASD. Kristin shares very openly about how overwhelming the whole process can be. I had a great time time talking with Kristin (especially because of her Australian accent!) and I hope you enjoy listening! In today’s episode I’m chatting with fellow podcaster, Philip Dallmann. Phil’s podcast ‘Access Champions’ is all about accessibility, inclusion and diversity. Phil has an extensive background in the field of inclusion- we get into all that and discuss what lead him to this line of work. I had the pleasure of being a guest on Phil’s show and I must say, not only is he a blast but his passion for this work is truly remarkable. We also get into a broader discussion of inclusion and why it’s so important to have these conversations, especially in today’s world. I’m thrilled to welcome Phil as a guest and I hope you enjoy listening! In today’s episode I’m chatting with Leasa, who is not only a fellow autism mom but is also the author behind the blog Cody Speaks. Leasa shares openly about her journey with her son, Cody, and what it’s like for them now that he’s getting older. We have a very honest discussion about the uncomfortable things that come along with age (puberty anyone?) and why it’s important to talk about these real life issues! I really admire Leasa and I’m so grateful for her honesty. I’m a huge fan of her blog and I’m so honored to welcome her as a guest! I hope you enjoy listening! In today’s episode I’m flying solo and talking about a few different topics that seem to come up continually. First, I’m giving a few updates on what’s been going on with Logan and our family lately. Then I’m talking about something I know many of us are familiar with- the dreaded sleep problems! I chat about our current sleep situation and the tough question of when it might be time to try medication. Lastly, I’m sharing our experience with another common autism related topic- picky eating and food issues in general! I am by no means an expert but I always think it’s helpful to hear from other parents on how they deal with these issues, so here’s my take on it! I hope you enjoy listening! In today’s episode I’m chatting with autism sibling and BCBA, Dana. Dana shares her experiences with her brother Rob, who is an adult with autism. She very openly shares the difficult parts of their story as well as the joyful moments. Dana and Rob are both incredible and they’re relationship is truly special. Dana and I talk a lot about the benefits of ABA, and also why autism awareness is about so much more then just being aware that autism exists. Dana also shares why she feels it’s so important to show the realities of life with an autistic adult. I am so inspired by both Dana and Rob and I’m so honored to have her on as a guest! I hope you enjoy listening! In today’s episode I’m chatting with fellow autism mom, Sarah, all about her family’s unique journey with ASD. Sarah has not just one, but two children that are on the spectrum. Sarah explains how even though both her sons were diagnosed with autism, they are very different and unique in their own ways. She also talks about her struggles with alcoholism and how she was able to overcome and live a sober life. I found Sarah’s story very inspiring and I hope you enjoy listening! In today’s episode I’m chatting with speech and language pathologist, Sarah Treharne. Sarah is the founder of the Open Door Autism Project, which provides speech therapy to children and individuals on the spectrum. Sarah and I talk all about her journey to becoming a speech pathologist and why autism specifically is so fascinating to her, and how it became her main focus in her career. Sarah is such a warm person and her passion for her work is so inspiring. I hope you enjoy listening as much as I enjoyed talking to her! In today’s episode I’m chatting with fellow autism mama, Colleen all about her journey with son, Matthew. Colleen and I get into the nitty gritty of what goes into getting a diagnosis (phone calls, and paperwork, and assessments, oh my!) and talk about all the emotions that follow. Colleen also explains how this journey lead her to starting her own blog “Life in Bluhm”. Colleen is such a warm person and a wonderful mother, she truly speaks from the heart! I am delighted to have her on as a guest and I hope you enjoy listening! Episode 19- The power of music, with music therapist “Jammin Jenn”! In today’s episode I’m chatting with music therapist, Jammin Jenn! (Jenn Goodman) Jenn tells me all about her journey to becoming a music therapist and how this career path became her passion. I first became familiar with Jenn when I saw her on one of my favorite TV shows, Real Housewives of New Jersey! Jenn is an incredible person and her work is completely inspiring. I am honored to have her on as a guest and I hope you enjoy listening! In today’s episode I chat with fellow autism mom, Lindsay, all about her journey with her son, Jack. Lindsay and I talk a lot about how this journey is definitely a roller coaster- with lots of ups and downs! We also talk about changes in friendship and how social media really impacts that. I had a great conversation with Lindsay and I hope you enjoy listening! In today’s episode I chat with fellow autism mom, Rebecca, all about her journey with her son, Jack. Rebecca is an amazing mom who advocated for her son right from the start, and pushed for him to get the services he needs. We also talk about family life and everything that goes along with having other neuro typical children. Rebecca is so fun and very honest, which I LOVE! I hope you enjoy listening! In today’s episode I’m flying solo and talking about some of the fun things our family has been up to, including celebrating Logan’s birthday! I’m also getting real about the emotions that come along with that. Then I’m chatting about holiday plans and sharing some of our traditions, and discussing how sometimes we have to “tweak” things when trying to accommodate for autism- and that’s OK! Lastly, I’m sharing my goals/hopes for the New Year. 2018 has been pretty incredible for us but I can’t wait to see what 2019 has in store! I hope you enjoy listening! In this episode I chat with fellow autism mom, Sarah, all about her journey with her son, Aidan. Sarah shares how early medical struggles impacted Aidan’s development and made getting a concrete diagnosis a challenge. She also talks about her latest endeavor, The Unique Family Adventure Club, a travel club/group for special needs families! I loved talking to Sarah and I hope you enjoy listening! In this episode I chat with children’s book author, Rachael M. Cuellar, all about her book, “Why is he doing that?” which does a beautiful job explaining autism to a young audience. Rachael also shares her experience as an autism sibling and growing up with her older brother, who is on the spectrum. Rachael and I had a great honest conversation where we discussed many topics all within the realm of autism. I hope you enjoy listening! In this episode I’m chatting all about the time leading up to Logan’s diagnosis and the early days of our journey. This is something that I get asked about a lot and I’m hoping to shed some light on that time, especially for those who are currently going through it. I hope you enjoy listening! In today’s episode I chat with Nicole, fellow Autism Mom and the founder of The Soothing Stitches Project. Nicole talks all about her personal journey with her son, and how that lead her to starting Soothing Stitches, which is a nonprofit that makes weighted blankets for people on the spectrum. Nicole is so inspiring and we had a great conversation. I hope you enjoy listening! In today’s episode I chat about the five biggest challenges we have faced in dealing with Logan’s autism diagnosis. Discussing “challenges” is a challenge in itself for me- I always want to stay positive! But I wanted to keep it real because there definitely are struggles in this journey. Thanks for listening! In today’s episode I chat with fellow autism mama and activist, Tamika, all about her son and their journey with autism. We also talk about her incredible work running The Autism Hero Project, the book she co wrote, and so much more! Tamika is a true inspiration and I had a great time speaking with her. I hope you enjoy listening! In today’s episode I chat with fellow autism mom, Ava, about her journey with her son, Blake. Ava and I discuss the ups and downs of Autism and how it really is a roller coaster! Ava also shares her experiences as an African American mother in the autism community, as well as navigating the Chicago public school system and the resources (or lack of) available there. I had a great time chatting with Ava, I hope you enjoy listening! In today’s episode I chat with occupational therapist, Lindsay, about her work with kids on the spectrum in a school setting. Lindsay had so much great info to share and I really enjoyed talking with her. I hope you enjoy listening! On today’s episode I talk with fellow autism mama Christie about the highs and lows of having a child on the spectrum. Christie was so open and honest, I loved hearing her perspective! Enjoy! Episode 4- Autism from a dads perspective, with my husband! I’m so excited to have my husband, Manny, join me for this episode! We chat about our journey so far and get his “dad take” on everything. Enjoy! Today I talk about navigating Autism together as a family and how are our family dynamic has changed through the years. I also discuss the many ways Autism is popping up in the media! Episode 2- See the able, not the label! Chatting with my first guest Natasha! We talk about her sons journey thus far and get into diagnosis “labels”! Episode 1- Welcome to Adventures in Autism! My very first episode! All about our journey with autism so far.